Today’s blog post is a joint effort with 4 other amazing women. I’m so excited to be apart of the Project Sister Act. Project Sister Act is a monthly theme spearheaded by Sheela Goh that helps debunk that fashion blogging is only dominated by one age group. May’s theme is “Animal Instinct”. You will see how women from different age groups rock animal prints effortlessly and in their own way. I chose to break all of the rules and mix match prints that are not traditionally paired together. I have so many leopard print pieces in my wardrobe because I love it so much! 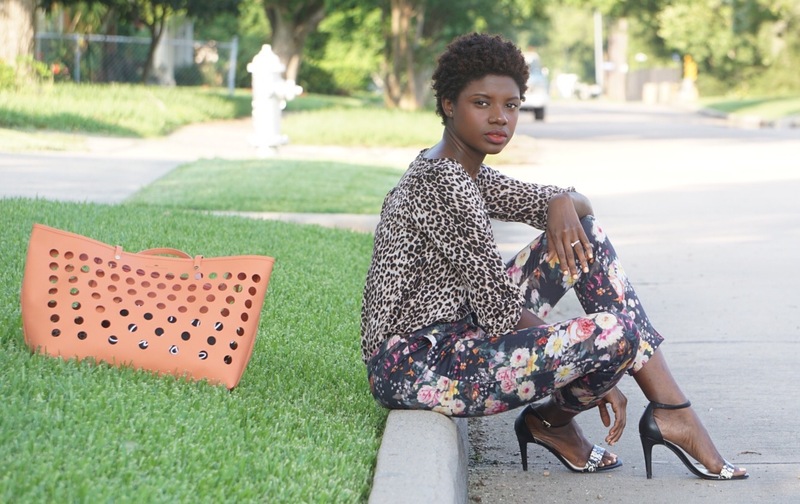 I paired one of my favorite leopard print tops with floral pixie pants. To top it off, I threw in more animal print with my faux snake skin heels. There is no rhyme or reason for my choices other than I liked it and I felt confident wearing it. Leopard print is a neutral in my book and my pants are very spring/summer. Check out how these other beautiful ladies spanning from teens to 50’s got in touch with their Animal Instincts, enjoy!